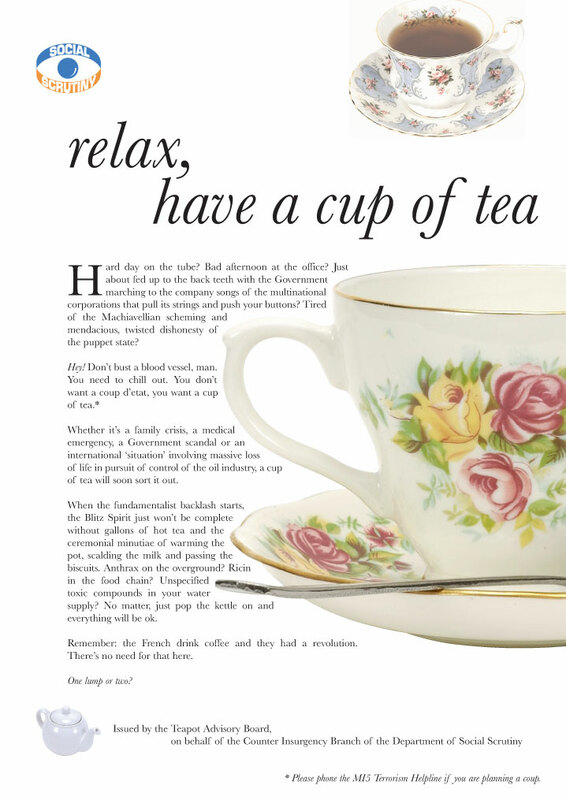 Government launches tea leaflet in case of emergencies. Food safety fears expressed over "Fishish Fingers". How to eat cake, introductory notes. Notes on tea drinking (continued).